The US Marine Corps may ground its entire air fleet for a safety review following the crash of an Osprey tilt-rotor aircraft in Australia that killed three Marines, a defense official said Monday. 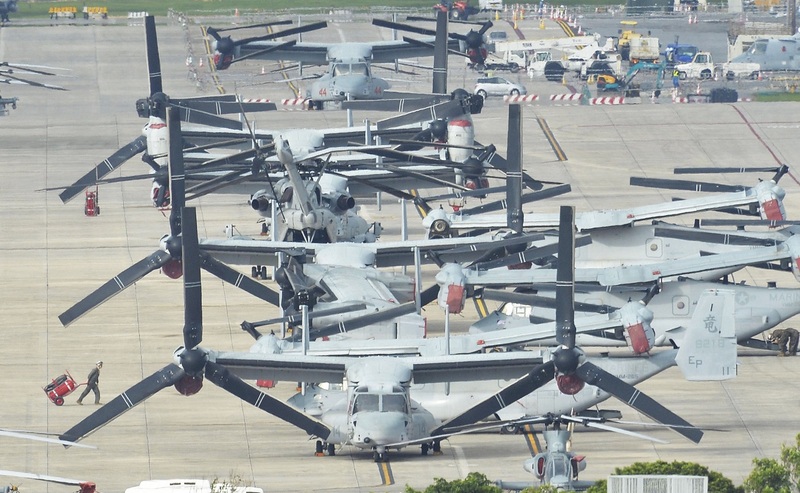 "We are looking at our options in terms of reviewing safety across the Marine Corps fleet at the moment ... pending an across-the-board safety review," a US defense official told AFP, noting that the grounding could affect all flying squads in the service. US officials are also weighing a request by Japan's new defense minister, who told the US military on Monday of his "many concerns" after it flew an Osprey in Japan following the crash. Itsunori Onodera, appointed Thursday as Japan's defense minister, asked the US to temporarily stop flying the aircraft in his country following the accident. According to the US official, the Osprey crashed after clipping the back of the USS Green Bay while trying to land on the amphibious transport ship. The Okinawa-based aircraft which crashed was in Australia as part of a joint military exercise called Talisman Sabre, which has just ended in Queensland state.